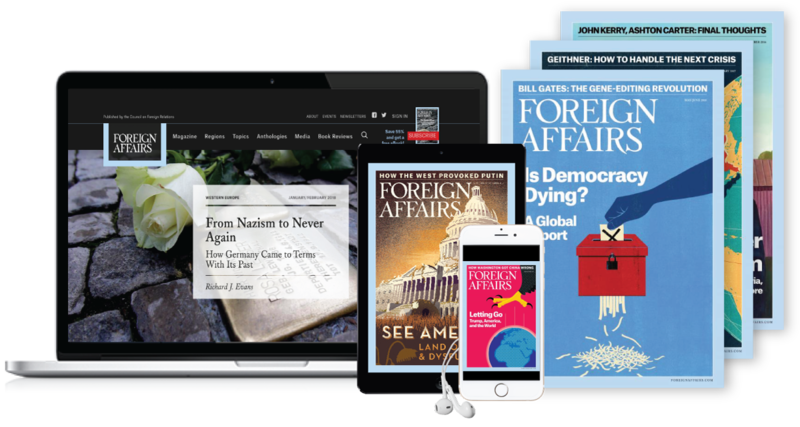 Term and value based on a one-year subscription. Passwords should be eight characters, including at least one letter and one number. 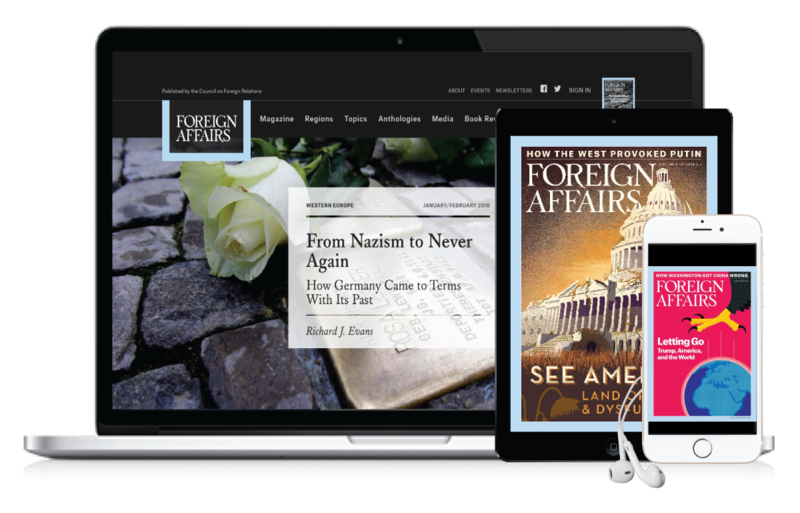 Website signup allows you access to the current issue of Foreign Affairs and the full online archive on ForeignAffairs.com. For your convenience, we are entering you into the Foreign Affairs automatic renewal program. At the end of your term, Foreign Affairs will send a reminder notice before charging your credit/debit card or sending you a bill at your current renewal rate. You may cancel at any time during your subscription and receive a full refund on the remaining unserved portion of your subscription. YES, sign me up for auto-renewal! I understand my subscription will be automatically renewed until canceled, which I can do at any time by contacting customer service. I will be notified via email about two weeks before my credit card is charged confirming my subscription term and rate. Yes! 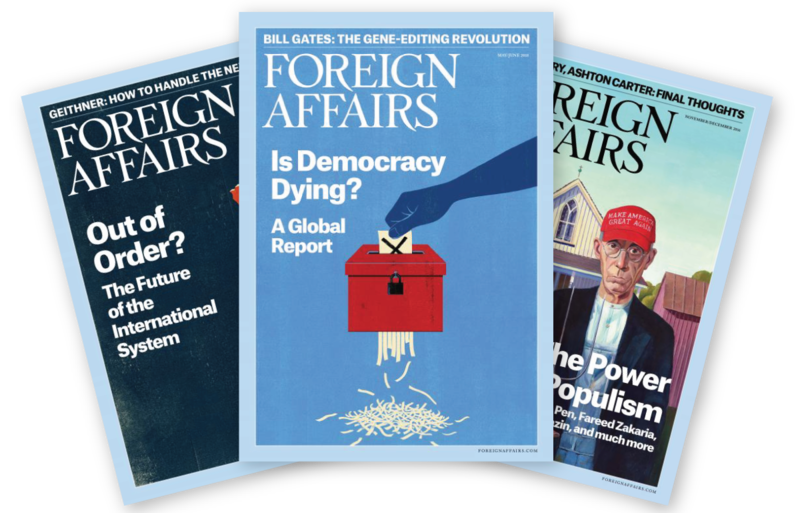 I would like to receive This Week in Foreign Affairs, our newsletter featuring the week's highlights from ForeignAffairs.com. 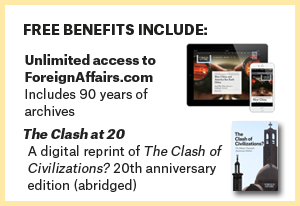 Copyright © 2002 - 2019 by the Council on Foreign Relations, Inc. All rights reserved.